When you are out on your adventure, whether that be hiking, tent camping, as a boat toilet or the like you will need access to a toilet. If you are really camping somewhere in the wilderness or you aren’t comfortable with the hygiene of the public toilets that are nearby, a portable toilet is the perfect solution for you. The great thing is contrary to popular belief you don’t have to break the bank to own one and they will be so much more convenient than trying to find or use a public toilet. I have used 15 different portable toilets varying in both price and overall quality. Here I will give you my favorite 5 options in ascending order. 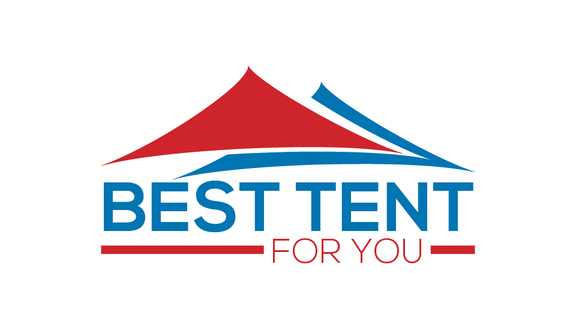 I will give the reasons they are some of the top portable toilets and why you should consider them for your next outdoor adventure! Value for Money – I wanted the best value for money, paying more doesn’t necessarily mean you get better quality with a product. I have included a range of different products that are available at different price points to try to accommodate everyone’s different budgets all while remaining top quality. 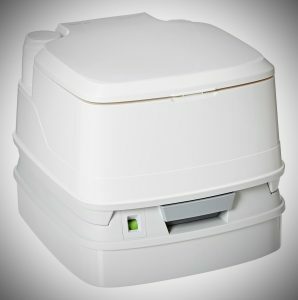 Portability – Some of these portable toilets can be heavy or not too practical to carry so I have included the ones that are on the lighter end of the spectrum to make sure they are as portable as possible. Odors – I noticed on some of the ones I reviewed that are not on this list that the smell inside may tend to leak or escape which is something you absolutely don’t want. All the portable toilets on this list don’t have this problem. Cleaning Options – I want one that is easy and simple to clean. It’s quite an important aspect as you should do it usually every few days or so. Capacity – There are different capacities and amounts that each can hold. I will further discuss what I like about each different size. 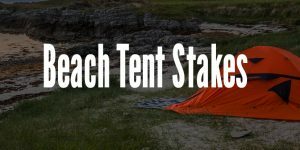 Build and Ease of Use – I want one that is comfortable to use and made from quality materials. Hygiene – Again this relates to build quality and the unit not having issues such as leaking, another one of my most important factors when picking the best options. Let me start off by saying this option is a great option when it comes to value for money. The first thing I noticed about this unit is the height of it, is it a little taller -that makes it more comfortable for me to use (I am 6ft). This sort of thing is of course dependant on the individual but I personally like the height at which it stands. 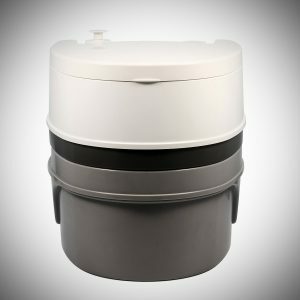 I also like how the unit is separated into 2 compartments, one is the waste tank and the other is the water tank which are detachable. This allows for much easier cleaning which is great as I don’t want that to be a long task, it only took me about 5 minutes to clean everything! 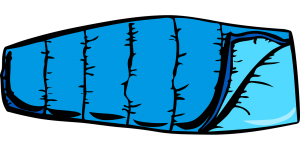 Even though it may seem quite big it’s surprising lightweight which in turn makes it more portable especially when it’s empty – it can be separated into 2 pieces which makes for easier transportation. The tank can hold quite a bit of stuff. I personally used it for a family of 4 for 4 days of camping and even at that point it was only about half full. So, I could imagine it easily lasting a week for 2 or 3 people. In terms of any odors or leakage- I didn’t experience any leakage or problems of the sort. It is well built and all the seals seem to work perfectly as intended. I tried using it for a week without emptying it. For the first 3 days, I didn’t notice any odor at all. Then by the 4th day I started to notice some odor but this was only when the lid of the toilet was open. Then I did as suggested and used one of their treatment packs, this did help with the smell but it didn’t take it away completely. Ideally if you could empty this portable toilet twice a week I don’t think you would have any odor issues at all. If you aren’t looking to break the bank this option is a great choice for you! It has a flush mechanism – a bellows type pump which works good. It has a nice height which will use up more space but it’s more comfortable because of it. When it’s empty it’s 11.7 pounds which is not too bad for transportation and the like. In terms of sheer build quality this is without a doubt one of the best, it is sturdy and it’s going to last the longest because of that. The premium version has a triple jet system on flush that works very well. You can easily empty this into any toilet when you need to empty it. You just open the bottom part of it and then pour some bleach or something of that sort – it cleans it and eliminate any odors. In terms of odors I didn’t notice any at all after using it for 5 days, though I was using the provided chemicals. Finally, I didn’t see any leakage – this unit is very well put together with good materials and overall construction. 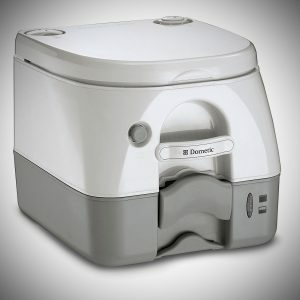 This Dometic portable toilet is smaller than the first options holding 2.6 gallons. This means the unit is lower to the ground which in turn makes it more portable and very lightweight. Because of it lower profile it makes it easier to transport and store away. Another feature I really like about this portable toilet is it has a pressurized flush, which works surprisingly well. In terms of the usage it could be used for 2 days by 3 people and probably could’ve gone another day comfortably without emptying it. Also, I didn’t notice any odor problems when using it which is a big advantage. This toilet seems extremely well made and will last for a long time without issue I can imagine. This toilet is also great value for money. One of the things I noticed straight away when I started using this Thetford toilet was it has an indicator of how when the toilet is full and needs emptied which is very handy as you don’t need to constantly check if you need to empty it. It has a piston flush system that offers 33 flushes when it is full. That should easily last a family of 3 or 4 for 4 days. It is very easy to empty and clean. When it is emptied, you can pour a solution such as bleach or some cleaning product to clean it out and that’s all you really need to do. Once that’s done it’s best to leave it to air dry for a few hours and then it’s ready to use again. The seat and the toilets lid can also be removed for cleaning which is nice. The valve to the holding tank is well sealed and prevents any odors escaping. This is one of the best portable toilets for sale. Here is another option from Thetford. 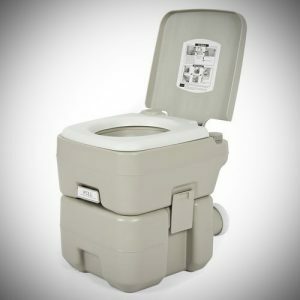 This is one of the most popular options and many would say it’s the best portable toilet out there and I tend to agree. This has all the features of the previous Therford toilet like the indicator when the toilet water is empty or the hold tank is full. This is a bigger option that can last 56 flushes on one tank of water using the built in electric flushing mechanism. It sits at a more comfortable height, it’s actually the most comfortable for height I feel and seems the most similar to any regular toilet. 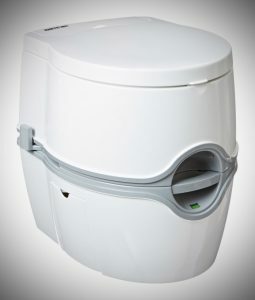 One of the features I really like with this toilet is the built-in spout that allows to easily empty the porta potti – it works very well and makes the emptying and cleaning process very simple. Just like the other one you can pour some cleaning solution through it and that will work very well for cleaning it. I have used it for a whole week and didn’t notice any odor or leakage problems! One final thing I would like to mention about this toilet is it has an included section that can be used to store toilet paper and can be flipped inside when you aren’t using it for easier transportation and practicality which really is the cherry on the cake! It really is the best portable toilet out there and the one I use myself! 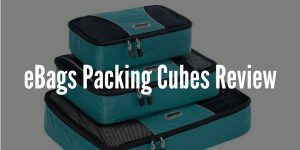 eBags Packing Cubes Review - Compact Packing at its Finest?